Blog Post Is your production good enough to sell itself? Is your production good enough to sell itself? One of the things I find fascinating about companies that really put get their production areas right is how much of sales tool it is. This includes maintenance shops and not just your typical ‘factory’ environment. I personally decided not to have my car serviced at the dealer when I saw what a mess the service shop was. Looking at the pile of new and old parts piled up on a work bench I couldn’t have confidence that the right parts would go back on my car. 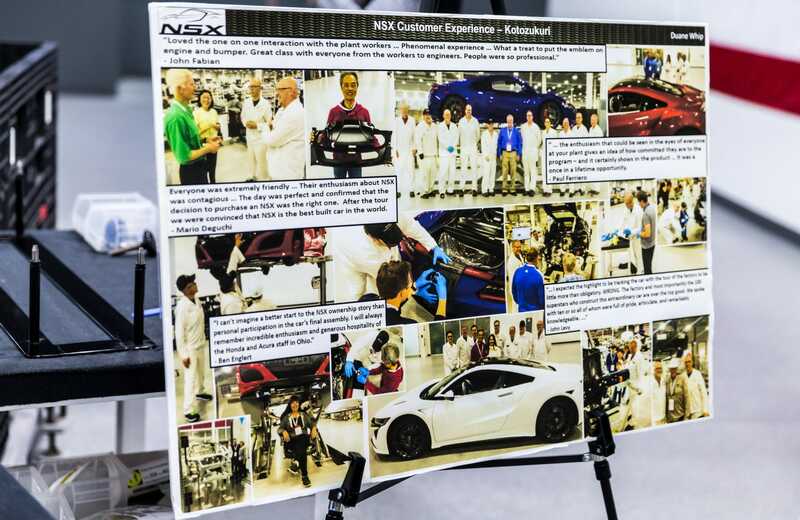 An extreme example of this is the NSX production plant at the Acura Performance Manufacturing Center, Marysville, Ohio. Customers of this incredibly high tech and expensive car travel to the plant to do some of the assembly work themselves. OK they are not assembling safety critical systems but finishing trim. Still however you have non-manufacturing people wanting to take part because they can and the prestige they associate with the product. At a humbler level, companies here in Alberta do the same. Being able to tour a customer though a welding or assembly shop and for the customer to be able to see what they are buying being built gives the customer a level of confidence that words alone can not. And in some cases, it has been the tour that has sealed the sale. How or does this relate to Lean manufacturing? The ideas behind Lean are how to deliver customer value and eliminate waste. In this case a part of the expanded value delivery is the customer being part of the production process, something they really value. One time the customer really values good 5S practices. Interestingly this touring and involving the customer has its own word in Japanese – Kotozukuri. Kotozukuri – the Japanese term or phrase which means the art of storytelling. Value creation. Story creation. To put it in context, it is broadly understood as the ‘new way of product creation in the manufacturing industry’ – looking into the perspective of the market, not just the perspective of the product or service.